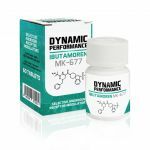 Ostarine MK-2866 is a SARM (Selective Androgen Receptor Module) that was created as a treatment for muscle wasting syndromes, however, it has since been repurposed in the bodybuilding community as a means of improving strength and promoting muscle growth. 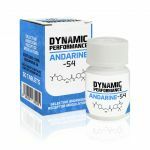 Ostarine works by selectively binding to the androgen receptors in your muscles, meaning that they can help you to achieve accelerated muscle growth without many of the unfortunate side effects that come with most performance enhancers. In addition to the initial improvement that is experienced during the cycle, the growth is entirely possible to maintain as long as you keep to your diet and training regimen, which is why it has proven so popular among serious fitness enthusiasts. Ostarine also assists with nutrient partitioning to a significant degree, allowing users to experience fat loss whilst gaining muscle simultaneously, something which is incredibly difficult to achieve through other means. These benefits, alongside the minimal side effects that you would typically experience as a result of use, makes it both safe and incredibly versatile. Depending on your goals, Ostarine could help you to overcome personal boundaries and achieve results you may have previously thought were unattainable. Other side effects include temporary testosterone suppression and water retention. Side effects are temporary and those who would use SARMs would allow their bodies to naturally recover by stopping use for around 8 weeks after a course has finished. Those who use SARMs commonly follow 8-week cycles for lean muscle gain and strength enhancement by taking 20mg per day. Typically, the following 8 weeks after the cycle are spent allowing the body to naturally recover its testosterone levels.